Hi, we are Silke and Niels. We are the creators of OpenSpace Beta and authors of the OpenSpace Beta handbook. We believe that, in organizational development as in Learning & Development (L&D), there is way too much hype today - and way too little actual innovation! We are dedicated to changing that. With Red42, our new company, we are making a step toward renewing, indeed reinventing organizational development on the fringe with L&D. Together, we are the authors of the business book bestseller Complexitools (forthcoming in English language in early 2019) the work/life organizer The Uncomplicated Year (2016) and the OpenSpace Beta handbook. We are the founders of OrgPhysics and Change-as-Flipping - to name just two of our most influential concepts, and thinking tools. As entrepreneurs, influencers, advisors and speakers, we built reputations for ourselves as progressive business thinkers and innovators, especially in the German-speaking countries. Beta, or the Beta organization, is at the heart of everything we do. We are part of the BetaCodex Network - the international, open source movement that promotes the contemporary organizational mindset called Beta, or the BetaCodex. 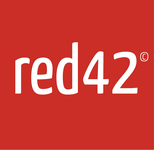 With Red42, our commitment is to offer self-developed, new, and highly innovative services, combined with top-notch, disruptive business models. Not conventional consulting, or training. OpenSpace Beta is one of the first two services we are launching, conceptually and practically, in late 2018. If you wish to learn more about Red42 and about our other, paradigm-breaking services, which will be revealed and launched over time, visit the Red42 website. You can reach us at Silke@RedForty2.com and Niels@RedForty2.com. Red42 tweets here.